Thanks to researchers in Tel Aviv, we can add broken bones to the long list of ailments that may just be treatable with cannabis constituents. 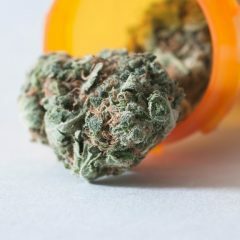 In yet another display of cannabidiol’s (CBD) promise, scientists noted that the healing process of bone fractures was expedited in rats treated with this cannabis compound. For those of you who missed the media frenzy, CBD is a non-intoxicating compound whose popularity rises with every new study supporting its benefits. Epilepsy, pain, anxiety, cancer, arthritis…these are just some of the conditions of interest to those exploring CBD’s medical potential. And thankfully, the market for high-CBD strains and products is growing alongside that body of supporting research. 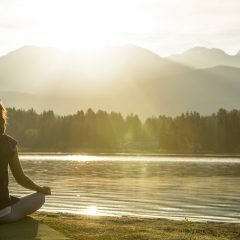 In this particular study, researchers found that CBD stimulated the development of collagen, a structural protein found in connective tissue. According to the study’s authors, not only does CBD help repair tissue, it strengthens bones and makes them harder to break later on. While we’d need to replicate these results in human trials to be certain of CBD’s relevant applications, it certainly wouldn’t hurt to pick up some Harle-Tsu or Cannatonic the next time you’re nursing a break. 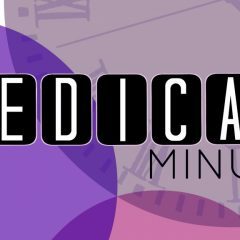 Check out our last Medical Minute that looks into whether cannabis can help repair arthritic joints, or catch up on previous Medical Minute articles!